In the real world Donny Yankellow is a full time art teacher, freelance artist/illustrator, and is a father. He has written for MyMac.com and BrightHub.com and is the author/illustrator of the best selling childrens iBook/eBook "Looking for a Dinosaur." Donny's degree is in Visual Communications and he holds his certification in K-12 Art Education. His hobbies (besides Mac and Apple stuff) include soccer, animation, and reading anything written by Stephen King. Will book apps replace the ebook? 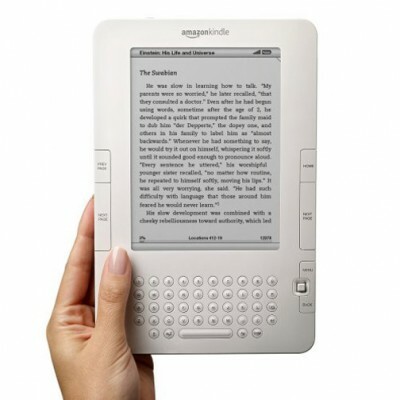 More and more people are reading ebooks instead of physical books nowadays. It’s a platform that continues to be popular and it’s definitely a lot easier to carry dozens of books on a tablet than to carry even a few actual books with you on vacation. As ebooks continue to grow in popularity, there’s a new type of platform entering the market, and it’s called the book app. What is a book app? A book app presents a book in app form rather than ebook form, and it allows for much more interactivity. Sure, an ebook can have video and sound in it now, but a book app can do so much more. It can add interactive video, games, and new ways to get involved with the story; it’s an entirely new and different experience. Book apps have actually been around for quite a while, mostly being prevalent in children’s books. When the iPad first came out, Disney released a free Toy Story book app, and it’s still one of the best apps in the app store. It includes the book, along with a coloring book and games mixed into the story to engage children as they read it. After this book was released, Disney continued to release more and more interactive book apps, and they still do to this day. Other content creators have since jumped in. However, while it’s not a brand new category by any means, book apps are expanding to include more than just children’s books. Just these past couple of months has seen the release of two fantastic book apps. First, The Animator’s Survival Kit. This is an app based on the book of the same name, which is a book that teaches animation. Instead of creating an ebook edition (one still might be on the way, but it’s not available as of this writing), the book was converted into a full-blown app, adding many fantastic features you wouldn’t get otherwise. The app is packed with all kinds of videos, including interactive videos that let the reader see the animation steps in a way not possible in an ebook. It’s fantastic, and it’s the same retail price as the actual book, so you’re getting a lot more bang for your buck. That was just one example of a recent book app, but does this mean the end of the ebook is near? I don’t think so. Certain books only work as text, and it’s what most people still want. However, I do see interactive book apps becoming more and more popular as time goes on. Can you just imagine a Stephen King book as an interactive app? That would be pretty amazing. 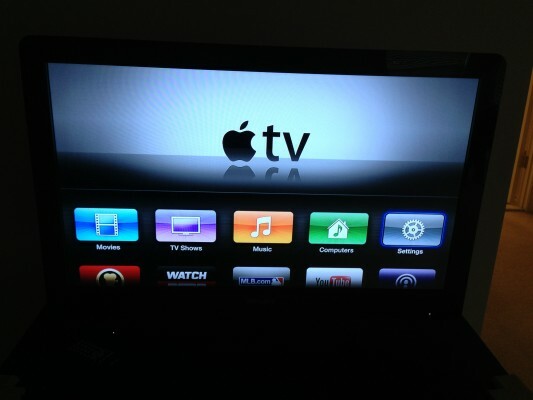 The Apple TV is great; I am a big fan and a happy owner, but until recently, I used to just buy a show or movie on my computer and then watch it on my Apple TV. 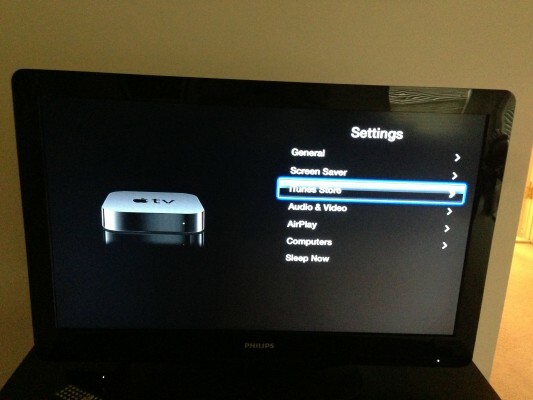 However, when you buy or rent content on the second or third generation Apple TV, the device automatically assumes you want your video in HD. Not only does it assume you want HD, it doesn’t give you the option to purchase the SD version, which is considerably cheaper. When you purchase content on your computer, you get the choice of buying/renting either the HD or SD option. Personally, I could care less about HD and would rather buy the SD version to save some money. It might only be a few dollars difference, but it all adds up in the end. 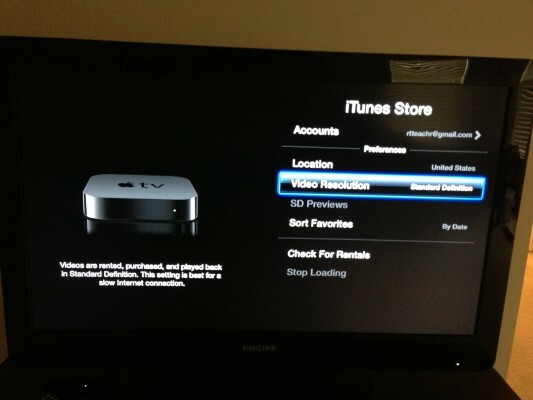 I always thought the only way to get the SD version of a TV show or movie was to go through iTunes on my computer, but I recently discovered a setting on the Apple TV that allows you to purchase SD versions, and it’s quite a simple trick. Within that menu is a setting for “Video Resolution”, with three options. If you choose the “Standard Definition” option, every video you purchase through the Apple TV will now be in SD and at SD pricing. If ever want something in HD, though, you can always go back and change the setting to “High Definition”, or buy the HD version through iTunes on your computer first. This not only saves you some extra cash, but it also saves you inconvenient trips to your computer everytime you want to purchase a TV show or movie from iTunes. Happy watching! Pre-ordering digital content: What’s the point? If you are an iTunes Store customer, you have probably seen the sections in the store which allows you to pre-order music, books, or movies. I don’t have data to back this up, but I would assume pre-ordering in iTunes is very popular. If it wasn’t I would expect Apple to stop offering that option. My question to those that pre-order from iTunes and other digital stores is: “Why?” It is not as if the store is going to run out of the file. The content will be available the day of release and five years after the release (unless it is pulled by the store or seller). There used to be a time when I wouldn’t be writing this article. In the past, I remember iTunes offering special pricing for pre-orders or extra content for pre-orders. If that was still the case, I would understand why one would pre-order digital content – you pay the same, or maybe even less, and get a deal out of it. However, these deals seem to have disappeared. I haven’t seen a pre-order deal in iTunes in a long time. In fact, I have found it to be cheaper to wait for the physical media release and buy that at a cheaper price than pre-ordering it. On occasion, a DVD movie with the digital version has been the same price as pre-ordering, or just buying, the digital version by itself. Actual media pre-orders (ie. DVDs, video games, etc.) still have these special offers. Disney, for example, often offers some deal on pre-ordering an upcoming movie release. Game stores often offer some type of deal to pre-order a game for your console. Why can’t digital content do the same? The only reason I see for pre-ordering digital content is so that you don’t forget to buy something you really want. Maybe there is a movie coming out in four weeks and you want to buy it. By pre-ordering it in iTunes you can set your computer or device to automatically download pre-ordered content when available. The content gets released and you open the “Videos” app on your iPad and “Surprise!” your new movie is there that you forgot you even ordered it. This reasoning could also backfire. You pre-order a digital item and then forget you ordered it. Let’s say a music album, for example. You see another digital music provider has a special release-day price to download the album. You buy it there and forget you already bought it from another provider. It automatically downloads for you and you have now bought it twice. Unfortunately, you can’t really return digital content. Until I see a real reason to pre-order digital content, like the deals mentioned above, I will stick to waiting for release dates and finding release day deals. Speaking of release dates, that is one thing the pre-order list is good for – finding out the release date of that movie, book, or music you want! If you frequent this site, you probably are a tech fan and travels with gadgets on vacation. Here are some suggestions you may or may not already be doing that will make the tech portion of your trip a success. It should go without say that you should bring every charger you need for your devices when you travel. If you have several different chargers you might want to look into a multiple-device charger. These chargers have one base with several connections for different devices, meaning you need to carry less chargers with you. I also highly suggest charging all devices before leaving home. This way if you forget your charges you’ll have some power already stored up. Speaking of charging and power: If you’re using a digital camera, it’s a good idea to travel with a spare battery. I always have a battery on hand if the one in the camera dies, so I can just swap it right out and continue shooting. I also highly recommend getting a second power source for your phone. This could be in the form of a battery, a phone case with a built-in extra battery, or a separate battery that connects to the phone via cable and can also be used as backup for your tablet. A case with a built-in battery is probably the most expensive, and once you get a new phone it will probably be obsolete. You’ll get more for your money with a spare battery. I always travel with my phone and at least two cameras. One camera is my compact DSLR and the other is an inexpensive lighter weight pocket camera. I like the DSLR for when I know I need a fast shutter. The other camera is for when I don’t want the heavier DSLR, although the compact DSLR isn’t that heavy. Plus, my wife hates the compact DSLR. I also travel with a waterproof video camera that can also take stills. They can be found for under $100 and great for trips to the beach or other wet destinations. I love not having to worry about my camera getting wet in the pool or ocean. Smartphones have great cameras, but they still are not good enough to be an everyday camera, especially for vacations. They are too slow to capture that one quick moment you don’t want to miss and they don’t have a true optical zoom for getting close to your subject. You also don’t want your smartphone falling into the pool or getting splashed by a wave. It drives me crazy when I see people using an iPhone at the edge of the ocean without a case, and don’t even get me started on tablets! If you do take a camera, make sure you have at least two memory cards with at least 8 GB of memory each. Memory cards are cheap these days and you want plenty of space to store photos and video and it is always good to have a backup card. I also have the camera connection kit for my iPad. I can take the memory card out of the camera at night and load the pictures onto my iPad to preview, edit, and share pictures before getting home. If you are taking a camera, you probably don’t need a traditional video camera. Modern cameras take great video and a video cams is just one more thing to drag along, even if it is a small and light weight one. It also means another charger to pack. If you have a tablet like an iPad or a smartphone, you’ll have to decide if you need a laptop. For me, the iPad is enough. I don’t even have a laptop. Plus, like the video camera, it means more bulk and another charger to pack. In the end, it is up to you what tech you need on your vacation. It boils down to how much you want to take and how much you want to spend on what you don’t already have. 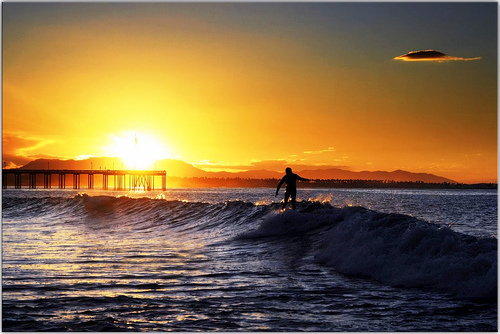 Either way, the most important thing is to have fun and enjoy the trip! The tech is just a tool to help make that trip more comfortable and to help preserve those memories. Can $20 apps survive in the iTunes App Store? Recently, I was looking at the new apps featured in the iTunes App Store and one got my immediate attention. It wasn’t for the name (I had never heard of it before) – it was for the price. The game was $19.99. My immediate reaction was “Wow! That is never going to sell.” Then I looked at the company making it: 2K games, a reputable gaming company. I was intrigued. I used to buy their sports games for the Xbox. The game is XCOM:Enemy Unknown and the description describes it as a game that has come from the PC and console world. A search at Amazon.com shows the game costs about $30. The app price brings an interesting situation to the App Store. Most apps are $4.99 and less, and many of those are just $0.99. Consumers are familiar with paying low prices for iOS apps, myself included. Now there is a $19.99 app which is probably console quality available for the iPad. Will customers be willing to pay that much for an iOS game when other ported games are priced at much less? I bought LEGO Batman for $4.99 and it was just as good as any console game I have played. Would I have paid $19.99? Probably not. If apps start having a higher price tag, I (and probably many others) will start buying a lot fewer apps. I am not saying every app should be $0.99. I’m just saying that higher prices will mean fewer sales in the long run. Developers should be able to charge what they feel is right for their apps. It is the consumer that will decide if the price is right in the long run. 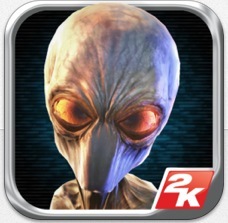 XCOM already has over one thousand ratings in the App Store, and you cannot rate an app without buying it, so it is definitely selling. How much? I don’t know and probably never will. This app could be the experiment that other companies have not been willing to take and it might be the app that changes app pricing of the future. If it sells well, other developers might start pricing their console quality apps at similar prices. 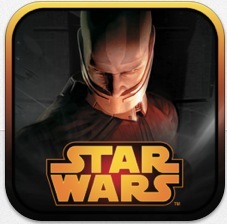 On a similar note, Knights of the Old Republic by Aspyr was recently released at $9.99. It is not $19.99, but $9.99 is a big jump in price from the $0.99 game. That is another game I have played (on the Xbox) and it is great. Is it worth $9.99 on the iPad? For me, the answer is no. This game was originally published in 2003 on the Xbox. That makes it ten years old. While it is a console quality game, and I game I would love for my iPad, I will not be paying $9.99 for a ten-year old game and a game I have already played. However, there are many people who will buy and have bought this game for the iPad already. Could this be the end of the $0.99 app in App Store? Only time will tell, but this is an interesting experiment for the iTunes App Store and other mobile platforms too. If you are like me, you like listening to content from your phone or MP3 player in your car while traveling. If you don’t have built-in Bluetooth in your car, there are several options for adding it. You can use a cassette adapter (if your car has a cassette deck), an 8mm audio cable (basically a headphone jack, if your car supports it), you can listen through an FM transmitter, or you can listen straight through the device if your device has decent speakers. In my car I have an audio jack. This method works great, but I hate have to use the cable to go from my phone to the jack. It just gets in the way of everything. I am happy to report there is another solution for those of us with an audio jack in the car that can be purchased for under $20: the Zehui Wireless Car Bluetooth Music Receiver. It’s a small Bluetooth receiver that plugs into the audio jack (yes, your device has to have Bluetooth for this to work). These devices play the audio from your phone or music player through your car speakers without being hindered by a cable! I am guessing this is a generic product because Amazon carries several items under different brand names with identical pictures, so I just settled on the cheapest one. There are other name brands that are more money and look different, but I figured I’d try the cheaper route first. Surprisingly, this little device works great! It is a little tricky to figure out how it works, especially since the instructions were awful, but once I got it going it is a great addition to my car. Best of all it has a very small footprint. It is about 1″ x 2″ and just sticks right out of the jack in my car. I turn it on when I want to use it and it connects right to my iPhone. The sound quality is great and I can control the volume through the phone or the car. The battery life is at least eight hours. My family recently took a vacation which involved three hours in the car each direction. My son sat in the back watching the iPad and listening through the car speakers. No more annoying cable from the iPad to the front of the car. Like I said earlier, there are other brands for more money, but why spend it if you don’t have to? 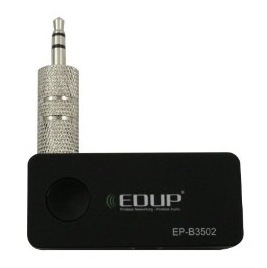 This little device is a great addition to any car with an audio jack. If you have an audio jack in your car and a bluetooth capable device I highly recommend checking out a Bluetooth audio receiver for your vehicle. You’ll be happy you did. If you have a computer, you should also have a backup plan in place. Some people have a local backup, others have an offsite backup service, and others might have both or more. If you are on a Mac you might be using Time Machine as part of your backup plan. However, most backup plans, including Time Machine, can only go back so far to recover a file. Some only backup the most recent versions of a file. Plus, these backup plans are for your hard drive only. What if you accidentally erase a file of a USB flash drive or wipe out an SD card full of pictures you haven’t downloaded yet? That is where Disk Drill Pro by CleverFiles comes in. Disk Drill is a data recovery application that can help with the situations described above. It’s fast and works great. When you run Disk Drill, you are presented with a window that shows all of the volumes connected to your computer, including hard drives, memory cards, and USB drives. You pick the device you want to scan and scan it. Disk Drill then scans for deleted files. The results are then presented in a list format showing the original folder and even file name. The great part is you can use Quick Look to see the file in Disk Drill before you even recover it. Scanning small drives like SD cards is really fast. Even scanning my 500GB internal hard drive was fast. I was really impressed with the amount of files DiskDrill was able to recover. Even if you have erased a memory card for your camera and taken new pictures, Disk Drill will find your old pictures. Of course, the more that disk or drive has been used since the file was deleted the less likely the file will be recovered. Not only does it find the files fast, it recovers them just as fast. Another feature in the application is called Recovery Vault. Recovery Vault stores metadata of files on your computer to make locating and recovering them a lot easier and puts the odds of recovery a lot higher. The company website states that this vault takes up about 60mb of space, so it will not eat up your hard drive at all. There is also something called Guaranteed Recovery protection through the Recovery Vault. This takes up some additional space as the program keeps an invisible copy of deleted files. You can choose which drives and folders to monitor for this feature and you can also set a space limit. I really don’t see the need for this if you have a backup plan in place, but you might want to use it for those crucial folders as an additional layer of backup. At $89.00, Disk Drill Pro might sound a bit pricey, however most great Mac utility programs are in that range and just recovering on set of files will make that money well spent. Plus, for a limited time CleverFiles is offering 20% off the price to Techerator readers with coupon code : TERETR-DD. 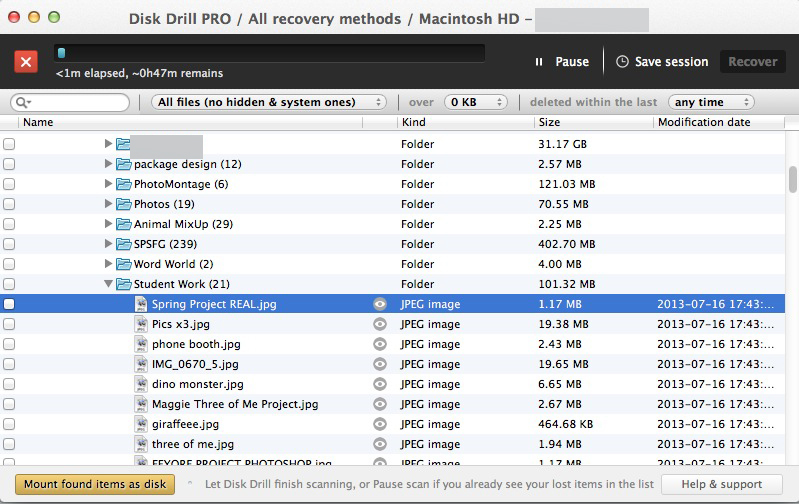 I highly recommend making Disk Drill Pro a part of your utility apps for your Mac. At the very least, download the free “Basic” edition. It will scan and protect your computer but not allow recovery. If you find yourself needing the recovery feature you can always upgrade. If you haven’t heard, Google recently announced a streaming music service. For $9.99/month you can stream all the music you want to your compatible device. This is not the first streaming music service, and it probably won’t be the last. In principle, an all you get stream music service sounds good, but in reality it has a few problems which keep me from signing up for one and sticking with purchasing music. The biggest problem with streaming music services is data limits enforced by wireless carriers. Unless you are on a WiFi network all of the time, you are going to need to use a data plan, which for most people is limited to 2GB or less. You might argue the 2GB is plenty of data, and it is if you are just surfing the Internet and checking emails and maybe downloading apps every now and then. However, that data goes faster than you think, and streaming only makes it go faster. Yes, audio uses a lot less data than video, but it is still using that data and I would venture to say you will use up that data before your month is up. I can see many people who unknowingly sign up for a streaming service without even knowing they are eating up their data plan until they get a nice present tacked onto their next bill for data overage. Of course, the data providers would love it if you purchased an upgrade for your mobile data plan. Now you get to pay for more data and the monthly streaming fee. Let’s say you are one of those people I mentioned above who have constant access to WiFi. You have WiFi at home, WiFi at work, and you frequent enough places that have WiFi access that you don’t really care about streaming in your car or other places. Just because you have WiFi access doesn’t mean you can stream your music. Your employer might limit streaming or even block it. If you are on public WiFi at a cafe it could also be limited by the establishment or just extremely slow from a large amount of people using it. WiFi is great, but only if it is completely usable. Contrary to what some might think, the physical CD is not dead yet. I, for one, still make audio CDs of my music. If you have a streaming service you can’t import music into iTunes and burn a CD. You have to buy those tracks. Yes, you can do both but this can get costly if you are always doing it. Plus, call it old school, but many people prefer to own their music. I like being able to load my iPhone with what I want and be able to listen to it whenever and where ever I am without having to worry about using data or being on WiFi. For many people a streaming music service is great. They have a limited data plan, have WiFi access, and or don’t care about owning music. For others, like myself, it is the wrong way to go. If you use a Mac, iPod, or iPad did you know that the iTunes Store is not the only place you can buy digital music for your device? In fact, Amazon.com has a great MP3 store which will work with those devices in a couple of ways. Basically, if you can get a DRM free music file compatible with iTunes, you can buy your music almost anywhere. This article, however, will be focusing on Amazon.com. Until recently, Amazon only had one way to get music onto your devices, which required you to download the music on your computer, then transfer it to your device. To use this method, you can download songs or albums from Amazon.com and using the Amazon MP3 Downloader, which you install on your computer. After the music has been downloaded, it will be instantly sent to iTunes with the names, artwork, etc. As I said, this used to be the only way to get these tracks onto your devices. “Used to be” is the key there. Amazon recently released their Cloud Player and a Cloud Player app. The app allows you to have access to all of your purchases for streaming and/or downloading on your device when you log into your Amazon account. The only problem with this is that you can not mix and match tracks from iTunes. If you want to do that you will have to download the tracks to your computer and into iTunes using the downloader tool mentioned above. You might be wondering what is the benefit of using Amazon if you have to go through all of this trouble? For me, the benefit is price. 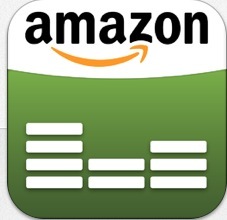 There are many time when Amazon will have a cheaper price on an MP3 album than iTunes. In some cases it is a lot cheaper. For me, it is worth the money to buy from Amazon and download the music to iTunes. Once it is in iTunes I don’t notice the difference, or care. iTunes is great, and I buy most of my music in iTunes. However, it is nice to know there is another option out there for users. Ever since the App Store opened, I have had the desire to create an iOS app. I have a bunch of ideas, but I am not a programmer and don’t know an ounce of coding needed to make an app. I can make the artwork for an app, but I don’t know what to do with it. I have tried a few apps that claim to help you make an app with no success. I have successfully completed the generic “Hello World” tutorial that every book seems to have. Speaking of books, I’ve bought a few to try and learn how to use Apple’s Xcode code development software. Never read them. I even tried the Stanford course in iTunes U for developing apps, but I couldn’t understand it. So, when I recently came up with an idea for an app for my son and decided to attempt to make it myself I had no idea what I was doing. The app was a very simple concept and I was shocked that there is not one like it in the App Store. I figured it is such a simple app I would try to make it myself. How hard could it be? Actually, it was not as hard as I expected. I wanted to create a simple typing app. It would have a keyboard and an erase button. 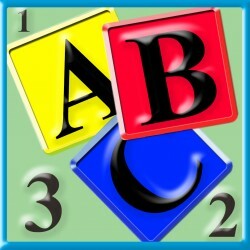 A child could type and erase what he/she typed. That was it. No ads, no saving, and no printing. I called it “Junior Typer”. I started by downloading Xcode from the Mac App Store. I installed it and I could figure out the basics of getting the app started. I set it up and then I was presented with the interface. I knew a little about the interface from completing the “Hello World” tutorial, but not as much as I thought. I searched the internet and found a ton of tutorials that gave me enough information to do what I wanted. I built the app and ran it in the iPad simulator. To my shock, it worked! Of course, Apple’s developer forums were a huge help too. Now I needed to improve the appearance of my app. I designed artwork for the splash screen, the icons, and the app itself. As I said earlier, that is the easy part for me (I’m an art teacher and freelance illustrator). I also wanted to do some customization of fonts in the app. After searching for the answer online, I decide to start exploring Xcode. After a while I finally found what I was looking for. I always tell people if you get stuck just start poking around. You usually find what you need and might surprise yourself. I decided to go for it. A word of warning here: if you are using an Apple ID to sell books through the iBookstore (which I do) you must use a different Apple ID to join the developer program. Since you need an email address for this, you might need to get a new email address too. I learned this the hard way, although Apple quickly helped straighten it out. After a week of waiting, the app was rejected for being too simple. Too simple? That was the main feature. I appealed, but my appeal was denied. After a call from Apple and discussing the app with them I went back to the drawing board. I was already working on some new features in case the appeal was denied so I was ready for a new submission. I was added features to change font color and size, and the ability to change the background color (again with the help of forums and tutorials, although at this point I was starting to learn the basics and gain some footing). I hoped that would be enough and I resubmitted. I am happy to say it was accepted this time and version 1.1 with some graphic modifications is now awaiting approval! It might be approved by the time you read this. Developing this app was hard work and actually a lot of fun. Getting it accepted was a rush that I am still excited about. I am already planning on trying a second app with my brother. If it is successful you’ll read about it here. 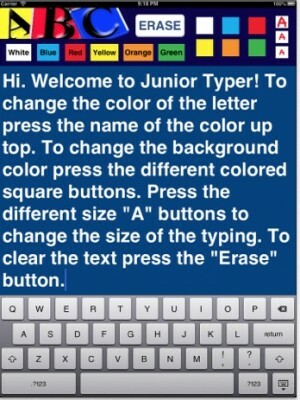 In the meantime please check out Junior Typer. It is just $.99 and something I think any child will love.